Theology describes the study, writing, research, or speaking on the nature of gods, especially in relation to human experience. Typically the concept includes the premise that such study is done in a rational, philosophical manner and can also refer to specific schools of thought, for example, progressive theology, feminist theology or liberation theology. Although most people tend to think of theology in the context of modern religious traditions, like Judaism or Christianity, the concept actually dates back to ancient Greece. Philosophers like Plato and Aristotle used it in to reference the study of the Olympian gods and the writings of authors like Homer and Hesiod. Among the ancients, almost any discourse on the gods might qualify as theology. 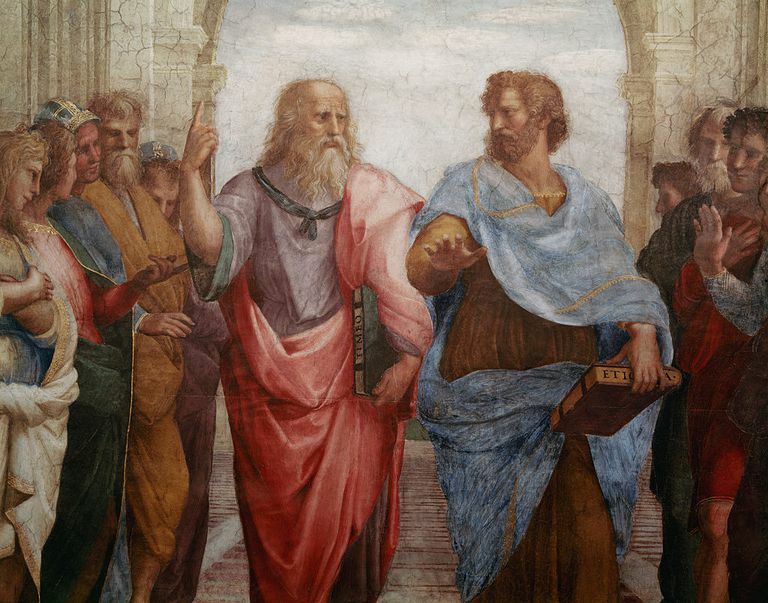 For Plato, theologia was the domain of poets. For Aristotle, the work of theologians needed to be contrasted with the work of philosophers like himself, although at one point he appears to identify theology with the first philosophy that is today labeled metaphysics. Theology may have already been an established pursuit before Christianity came on the scene, but it was Christianity that really turned theology into a significant discipline that would have a major impact on other fields of study. Most of the early Christian apologists were educated philosophers or lawyers and developed Christian theology in order to defend their new religion to educated pagans. The earliest theological works in Christianity were written by church fathers like Iranaeus of Lyons and Clement of Alexandria. They attempted to construct coherent, rational and ordered frameworks through which people could better understand the nature of Gods revelations to humanity through Jesus Christ. Later writers like Tertullian and Justin Martyr began to introduce outside philosophical concepts and employ the use of technical language, features which are characteristic of Christian theology today. The first to use the term theology in the context of Christianity was Origen. He was responsible for developing theology as an ordered, philosophical pursuit within Christian circles. Origen was already influenced by Stoicism and Platonism, philosophies which in turn molded how he would understand and explain Christianity. Later Eusebius would use the term to refer exclusively to the study of Christianity, not the pagan gods at all. For a long time, theology would be so dominant that the rest of philosophy was practically subsumed within it. In fact, the term theology wasn't even used very often terms like sacra scriptura (sacred scripture) and sacra erudito (sacred knowledge) were far more common. By the middle 12th century, though, Peter Abelard adopted the term as the title of a book on the whole of Christian dogma and it was being used to refer to university faculties that studied Christian dogma. Within the major religious traditions of Judaism, Christianity, and Islam, theology tends to focus on a few particular subjects: the nature of God, the relationship between God, humanity, and the world, salvation, and eschatology. Although it may have started out as a relatively neutral investigation of matters pertaining to gods, within these religious traditions theology acquired a more defensive and apologetical nature. A certain amount of defensiveness was also a necessary acquisition because none of the sacred texts or writings within these traditions can be said to interpret themselves. Regardless of their status, there is a need to explain what the texts mean and how believers should use them in their lives. Even Origen, perhaps the first self-conscious Christian theologian, had to work hard in order to resolve contradictions and correct misstatements found in sacred texts.